Gaming that is out of this world! 2019 Tickets for Moon City Con will be available soon! 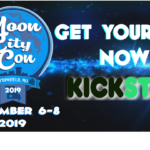 Moon City Con Springfields first Boardgame only Convention tickets will be available soon, with a huge game library, tournaments, play-and-win games and more you are sure to have a jam pack gaming event! 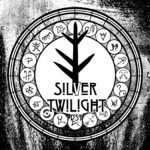 Don’t forget your Moon City Con T-Shirts! 2019 Get your Tickets at Kickstarter, Hurry before the sweet sweet swag is gone!